Summer time brings the new factor that influences work flow, and it is called Vacation. Vacations not only slow down and make processes more complicated, but also make them more expensive. We would like to draw special attention to the upcoming vacation in Italy for manufacturing companies, that lasts for the entire August. 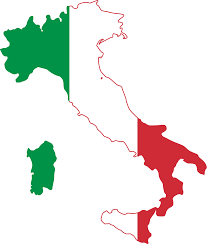 Making order from Italy during the summer period can be particularly difficult, because manufacturers are loaded to the maximum, and giving the fact that more orders keep coming, manufacturers raise prices for those who are not in a hurry for placing an order. It is also important to note the production deadlines, which sometimes take from 30 to 50 days and often, there is not enough time for order to leave the manufacturer on time. However, another major difficulty you may encounter with is transportation. Due to high demand and load, late transportation planing will lead to high pricing or even lack of transport. While one month of summer has already passed, the main peak will only begin on 10 July, so there is still some time to order goods and to ensure that they will leave the manufacturer before vacation.